Another day for drizzle and rain at Alki.....but things are due to dry out some next week....ya right. 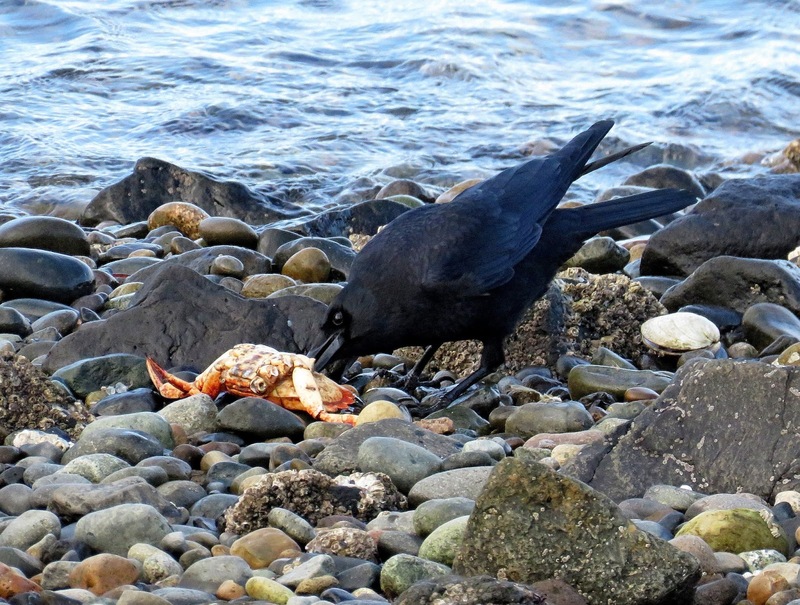 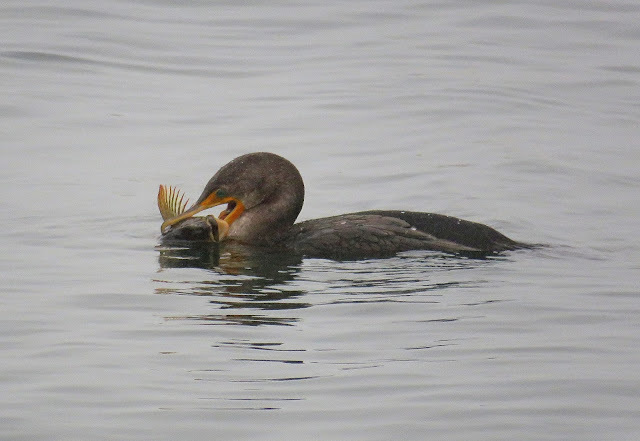 But cormorant made the day at Alki...playing with food. 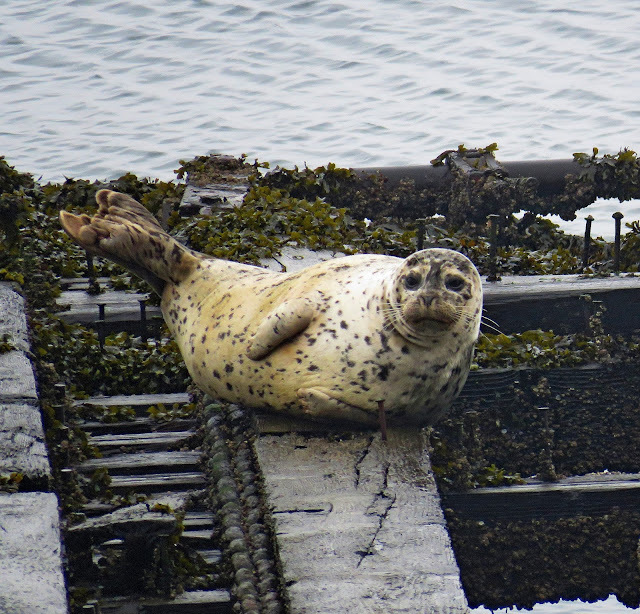 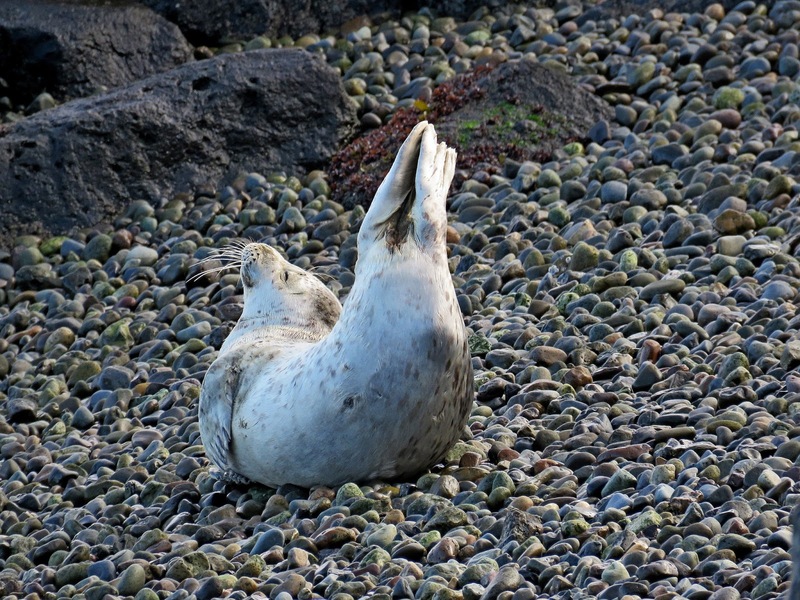 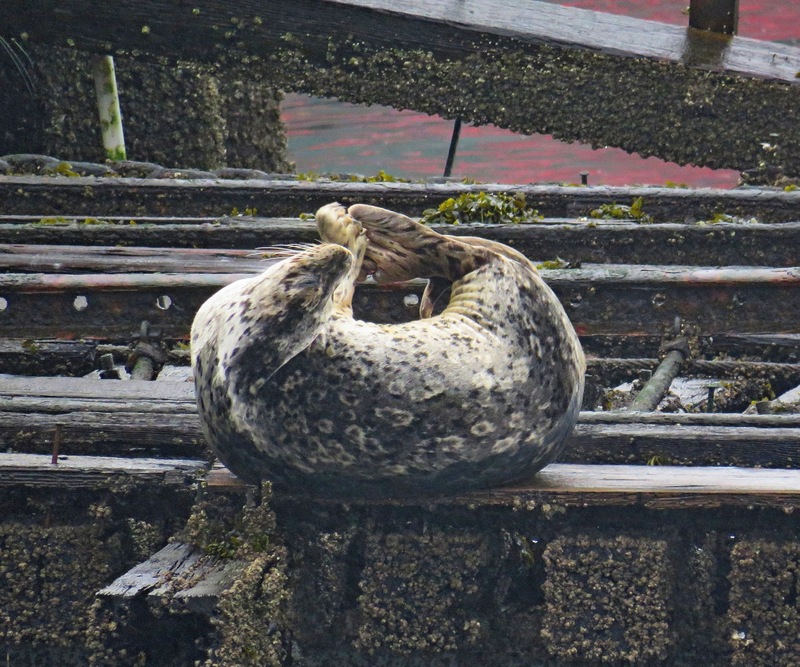 Lots of seals at Jack Block Park..happily none needed sitting as all were out of harms way (no human access). 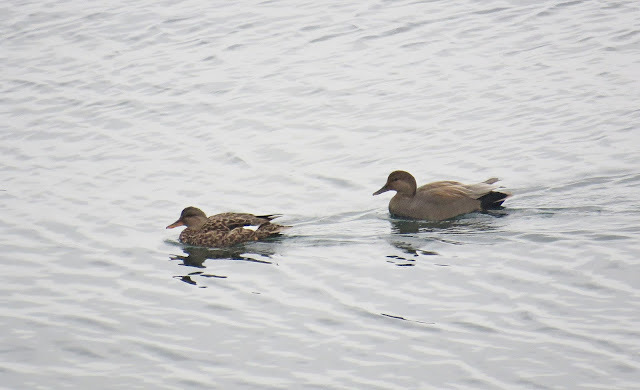 Anna's hummingbird been showing up at Jack Block and there were 3 doing chase flight yesterday. 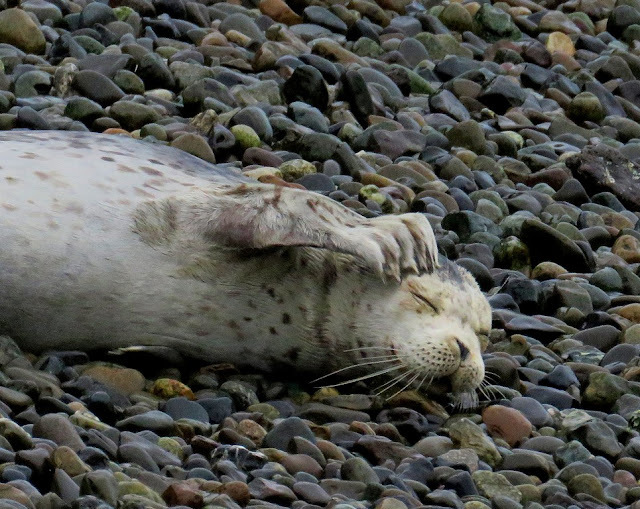 Uno back on beach today..so off to do a little sitting. Barred Owl still hanging in greenbelt. Nice blog and great shots! 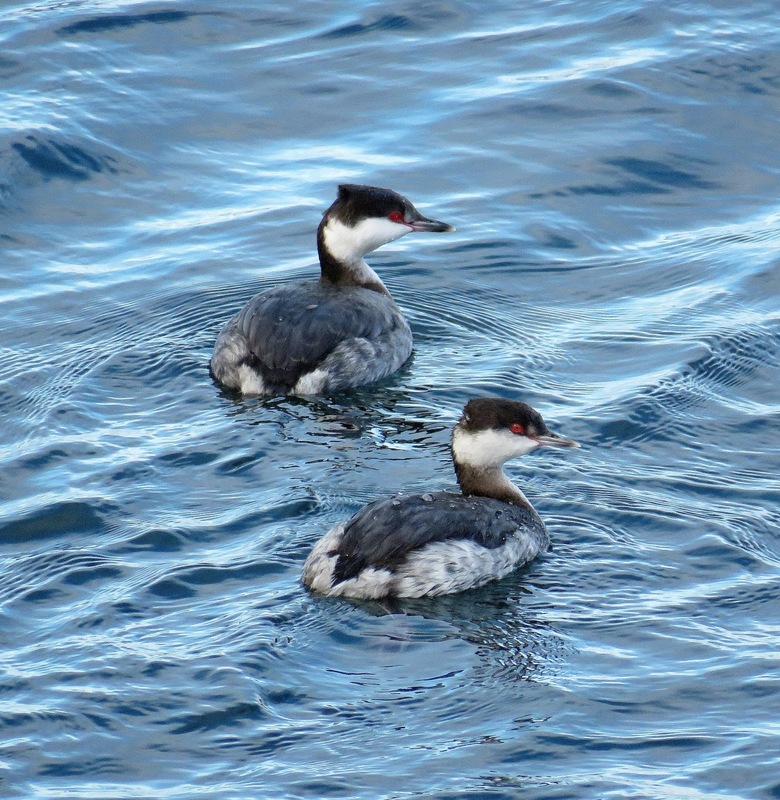 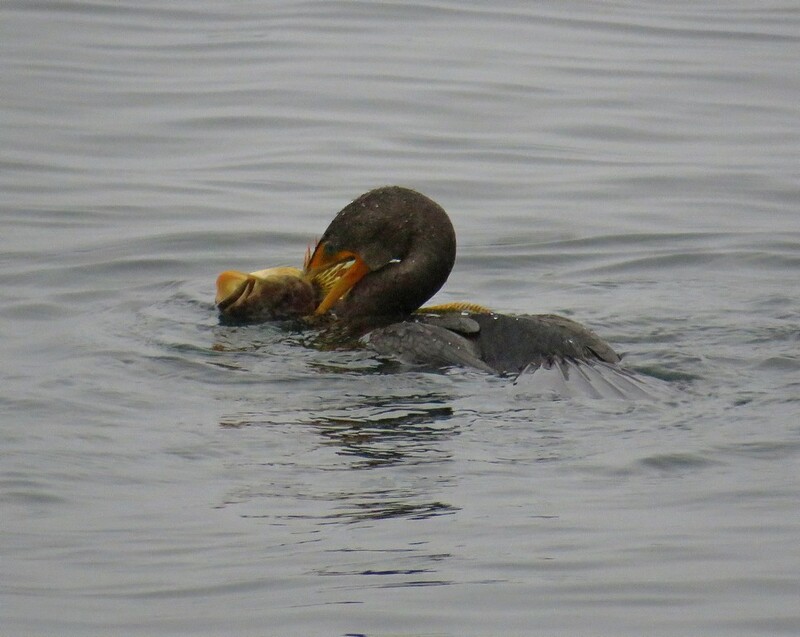 I initially noticed you "cormorant vs sculpin" captures. Wow, that looks like a huge/spiky fish the bird has caught and managed to get into (hopefully not stuck!) 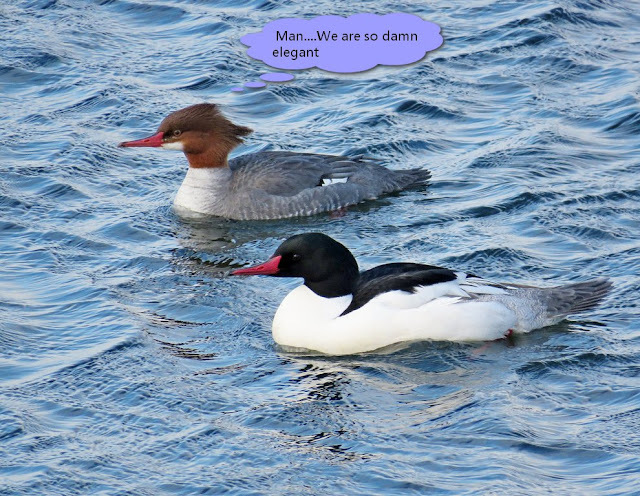 in it's long/skinny throat here! 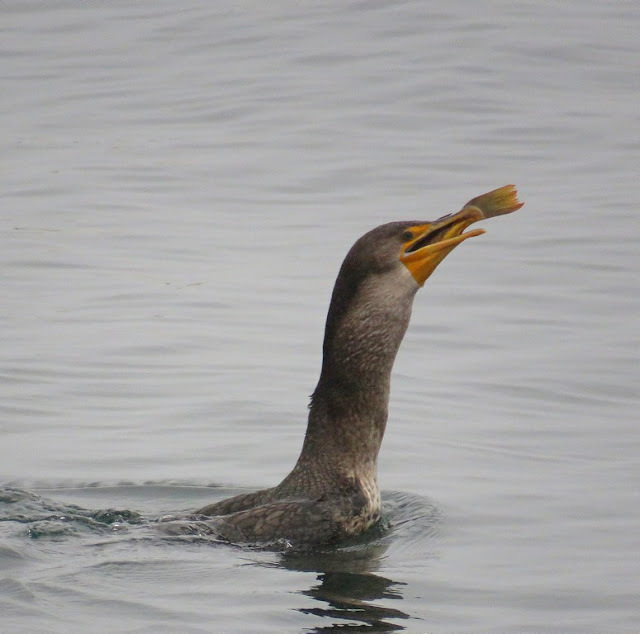 So could the bird really manage to fully consume that formidable-looking fish okay?? 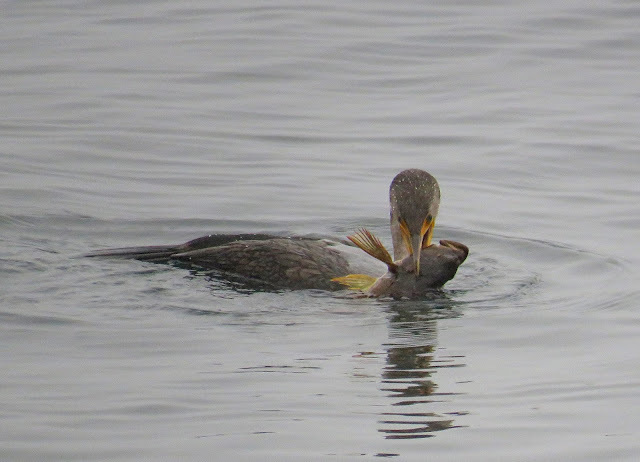 Does the sculpin put up a good fight, does the unlucky prey get swallowed wriggling all the way as well?! 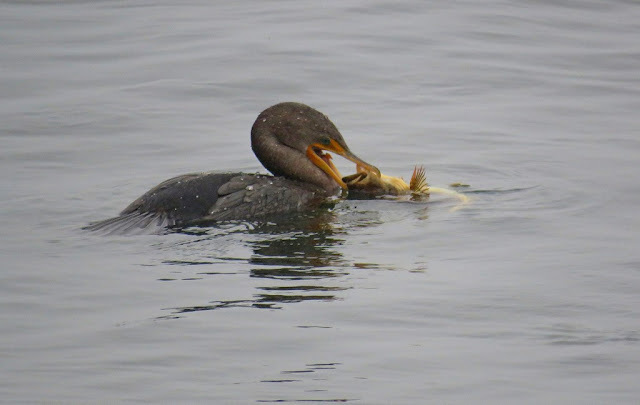 Yes the cormorant does eat fish of that size on a regular basis,,,,the sculpin does have spines on the gill covers and needs to be swallowed head first to get passed the spines...but cormorants have been doing this for a very long time. They also have a very powerful digestive system so nothing is wasted. And the fish is eaten alive.